On the 8th of July, Chancellor of the Exchequer George Osborne announced in his budget plans to reform the welfare system, including a cut to tax credits for families with three or more children. 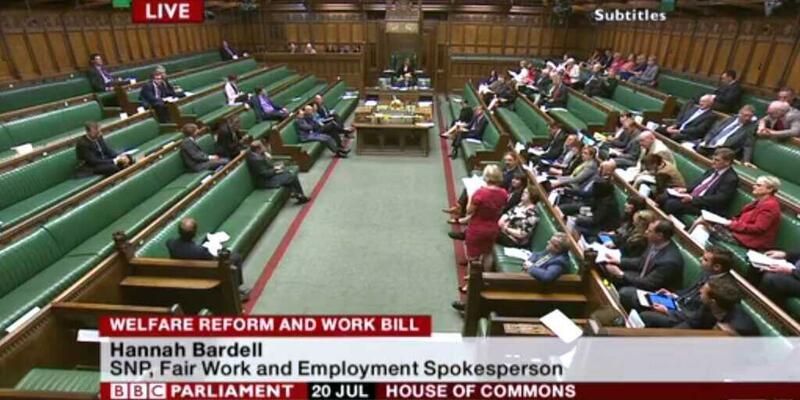 Less than two weeks later, the Welfare Reform and Work Bill was debated in the House of Commons. However, something was missing. Hundreds of things actually; the MP’s themselves. Most notably, there was a huge lack of Labour MP’s present as the debate got under way. So the question has to be asked; how can Labour see itself as a legitimate opposition if it refuses to stand up and actually oppose the government? To say that May’s general election was a huge blow to Labour would be an understatement, but it seems that the party is taking a remarkably long time to come back from it. It has become a party that is confused as to which direction it should take itself in, and the leadership race is quickly becoming an embarrassing display of personal attacks, with various media outlets only helping to pit the candidates against each other. Ultimately, the party is suffering from an identity crisis, and it needs to get itself back on track as quickly as possible. Welfare reform has undoubtedly been one of the most controversial aspects to the Conservative budget, with a cut to tax credits, a lower benefit cap, and the removal of some housing benefits being proposed by the party. However, despite the Labour Party not agreeing with these measures (with the exception of the benefit cap), interim party leader Harriet Harman advised her Labour colleagues to abstain from Monday’s welfare reform vote, stating that the party “cannot say to the public; you were wrong, we are going to carry on saying what we said before the election”. On most days, tuning into BBC Parliament would be a last resort for me and many others; after all it does have a tendency to be quite a dry affair. However, just from taking a look at social media, it seemed as the Welfare Reform and Work Bill would draw in quite an audience. As the cameras in the Commons panned out to show the whole chamber, it was obvious to see that most MP’s seemingly hadn’t received the memo that a debate was taking place. Unsurprisingly, the Conservative benches were occupied by only a handful of MP’s, but the lack of politicians sat on the Labour benches was far from encouraging. As half of the Labour benches remained empty for a piece of legislation that could potentially drive people further into poverty, it was hard not to feel a sense of embarrassment towards the party that is supposed to stand for “fairness, equality, and social justice”. The Conservative and Labour benches were largely empty at Monday’s vote. Among the Labour MP’s that did attend the debate were Helen Jones (Warrington North), Helen Goodman (Bishop Auckland), and John McDonnell (Hayes and Harlington), who claimed that he would “swim through vomit to vote against this Bill”. These three MP’s were among just 48 who actively voted against the bill, leaving 184 abstainers. So why did so many fail to defy the whip and stand up to the Tories? Some MP’s such as Deputy Leadership hopeful Stella Creasy took to social media to defend the decision. 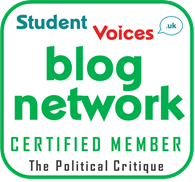 Writing for the New Statesman, Creasy stated that Harriet Harman was right in her decision to ask MP’s to abstain, adding that “the value of the parliamentary process is that by our amendments and our arguments we can show how our alternative reforms would instead deliver fairness and prosperity for all”. She has a point; this wasn’t the final reading of the bill and the Labour Party can still propose amendments at a later date. However, it has to be said that when the third reading does take place, it’s not unreasonable to suggest that Labour could again fail to have their amendments heard by the Conservative majority. Perhaps the Labour Party should follow in the footsteps of the Scottish National Party. Regardless of whether they were forced to be there or not, the SNP benches were full, and all of the party’s MP’s voted against the bill. Scotland’s First Minister and leader of the SNP Nicola Sturgeon commented on the lack of so-called ‘rebel’ Labour MP’s by saying: “if Labour had voted with the SNP against George Osborne’s assault on those of low incomes, then the Tories could have been beaten last night”. Even though this may have not been the case, Sturgeon raises a very valid point. Now that it’s the third largest party, the SNP are in the Commons firstly to create opportunities in Scotland for the Scottish people, but secondly to cause a headache for the Conservative Party. The Conservatives only have a majority of 12, leaving the party vulnerable to opposition. With the Labour leadership race well under way and dominating the party’s agenda until at least September when the votes are counted, it’s almost understandable that the party hasn’t quite gotten to its feet yet. Although, one thing is for sure. When the new leader is elected later this year, they will have to turn the party on its head if it stands any chance of coming into power in 2020. The sad fact is that many of those who walked away from Labour believe that the party doesn’t offer anything drastically different from the Conservative Party, and with votes such as the Welfare Bill, who can blame them? Ultimately, the Labour Party needs to recognise that giving in to Tory demands is by no means the best way to inspire the electorate in 2020. If the party becomes an effective opposition today, then there may be some hope for the next general election.